Growth has strengthened almost everywhere, and in some places is at multi-year highs. Positive internal dynamics and strong momentum in Germany suggest it will continue. Data released by Eurostat on May 16th showed that most economies in EU-CEE grew strongly in the first quarter of 2017. 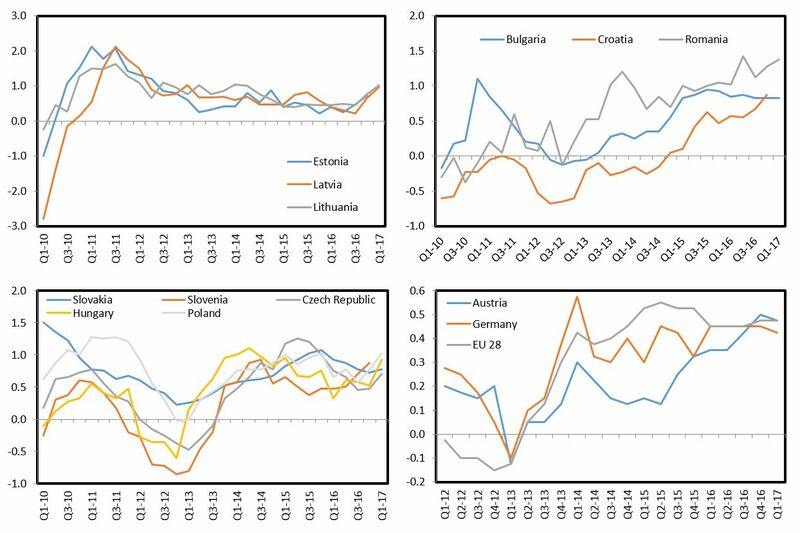 In seasonally adjusted terms, quarter-on-quarter growth was at or over 1%--a very strong rate in the post crisis context—in the Czech Republic, Poland, Latvia, Lithuania, Hungary and Romania. 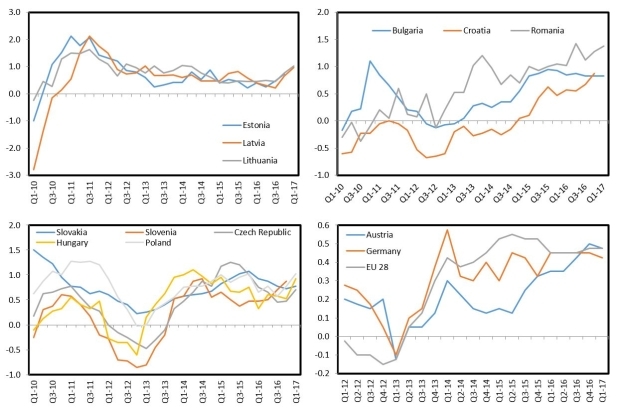 In both Slovakia and Bulgaria, growth was a robust 0.8%. Comparable Q1 data for Estonia, Slovenia and Croatia are not yet available. The strong growth across most of the region is in line with the view outlined in our Spring Forecast that economic activity would continue to pick up across EU-CEE. We argued then that the strength of the domestic labour markets in much of the region, a pick-up in private investment, and the intensification of the new EU funds cycle are all major positives for growth. Moreover, we noted that the EU-CEE economies would weather any negative fallout from Brexit and the election of Donald Trump as US president quite well, and also that the big political risks in Western Europe (notably elections in the Netherlands, France and Germany) would have benign outcomes for EU-CEE. So far, this has been the case. External conditions, particularly in parts of Western Europe, have also been very helpful for growth in EU-CEE. 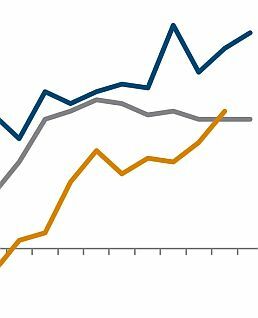 Growth in Western Europe overall has met—and in some cases even surpassed—our expectations. In its recent Spring Forecast, the European Commission said that it expected headline EU growth to be 1.9% both this year and next (both revised up from 1.8% in its previous forecast). Q1 Eurostat data showed quarterly growth picking up to a very positive 0.6% in Germany, which remains a key trading partner for all EU-CEE countries. 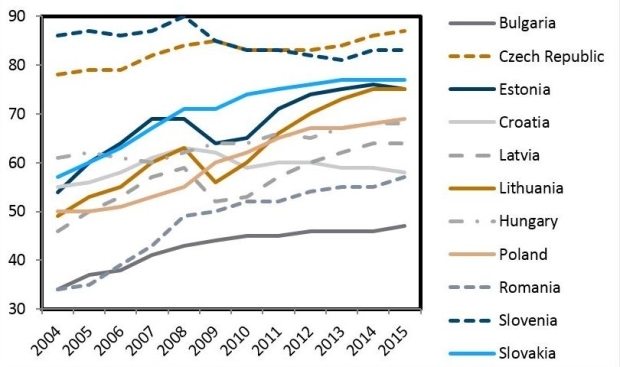 Meanwhile in Austria, which is highly economically integrated with much of EU-CEE, growth was 0.5%, a high rate compared with most of the period since the outbreak of the global financial crisis. Recent releases of high frequency indicators for both countries, such as the purchasing managers’ index, indicate that near-term momentum remains very strong. The Q1 data also support the impression that convergence in EU-CEE is back on track. In year-on-year terms, growth in all EU-CEE countries for which data were released was at or over 3% in Q1 (except in the Czech Republic, where it was 2.9%). This compared with 1.9% in Austria, 1.7% in Germany, and just 0.8% in France and Italy. The overall rate for the EU28 was 2%. While the pace of growth achieved in Q1 may not be sustained during the rest of the year, momentum is likely to remain quite robust. Our Summer Forecast will be released in June, and may include some upward revisions for EU-CEE countries. In general, we think that by 2018 growth across EU-CEE will be double the eurozone level, allowing for further real per capita income gains relative to the EU average. Figure 2: Real per capita GDP, PPS, EU-28=100. 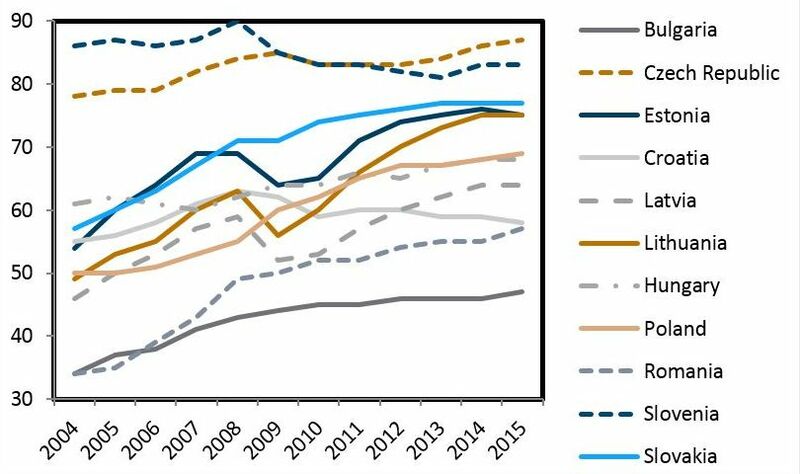 Source: Eurostat/wiiw.